Kwara PDP Chairman leaves party for APC over Senator Saraki – Royal Times of Nigeria. 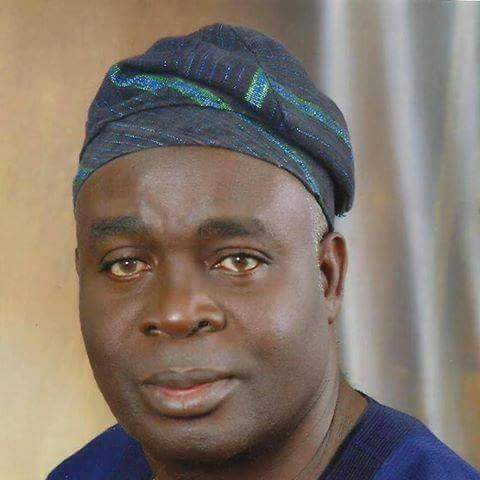 The Chairman of the Kwara State chapter of the People’s Democratic Party,PDP, Akogun Iyiola Oyedepo, defected to the All Progressives Congress less than 24 hours after the President of the Senate, Dr. Abubakar Bukola Saraki, joined the PDP from the APC. He stated earlier that he cannot work with Bukola Saraki and the Kwara State Governor, Abdulfatah Ahmed who recently joined PDP and he was already in Abuja to submit his resignation letter to the leadership of the PDP.He stated that Darkness and light can never work together therefore he would rather pitch his tent with the APC instead of working with Saraki in PDP. A related development, shows that APC in Kwara State has expressed sadness over the defection of Saraki, Ahmed and other political leaders from the party in Kwara State in a statement saying that the members of the party are worried over the defections that hit the party yesterday simple because Dr. Bukola Saraki and, Alhaji Abdulfatah Ahmed were the life-wire of the party in Kwara State and to their credit, the APC won virtually all available electoral positions across the 16 Local Government Areas of Kwara State, adding that it is doubtful that the same feat could be replicated without them and other leaders of the party in the parties forthcoming elections. The Kwara APC members therefore call on President Muhammadu Buhari and the National chairman, Adams Oshiomole, and other national leaders of the party to immediately intervene in complication before it becomes irredeemable.